When Microsoft says they’re trying to reach across the aisle to the other ecosystems, they really mean it. 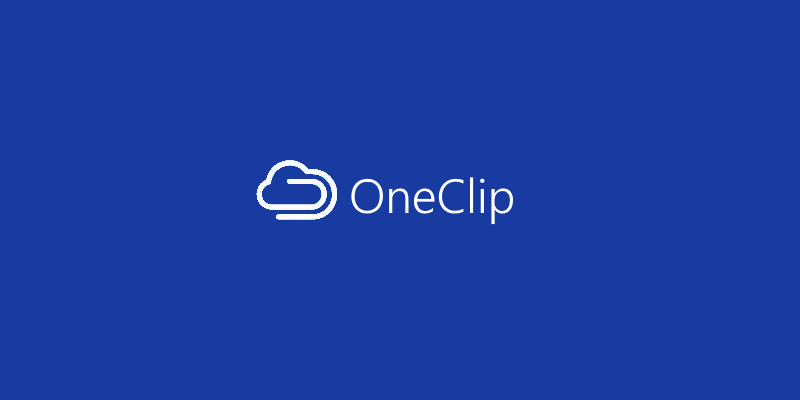 The newest evidence of this is a beta application that’s now available on the Windows Phone Store called OneClip, which saves anything you copy to the clipboard to the cloud. And it’s not just for Windows: it’s purported to be on its way for iOS and Android as well. OneClip is a universal clipboard app that can be installed onto multiple devices across a variety of platforms. Once installed, users can retrieve items copied to their online clipboard using the application. To pair the apps, you will have to enter a randomly generated number onto each device before data is synced up. The process is always on in the background, so you won’t have to manually copy data in and out of different app screens unless you want an older file.